Your CD Scare Force One was released on October 31st, 2014, through AFM Records. Are you content with the feedback you got from the press and your fans until now? I’m happy that the press has liked the album, but most of all I’m grateful that the fans seem to like it too. My music has to please me first, then the fans. If it pleases someone else, it’s a nice bonus. You recorded the album in Helsinki/Finland, with producer Mikko Karmilla. How would you describe your musical progress, what differs the most from Scare Force One to the last release To Beast Or Not To Beast? The overall sound, of course. This is much heavier and more metal than To Beast Or Not To Beast was. In a way this sound should have been on To Beast Or Not To Beast as well, though I loved working with Mr. Wagener at Nashville. A dream come true. My fave No. 1 is The United Rocking Dead. I like the dark, hard, rough atmosphere of this track very much. Could you please tell us a little bit more about this song... who wrote it, what is the story behind the lyrics? What are your favorites songs and why? If you buy the album, you can see from the booklet who wrote what. Haha! 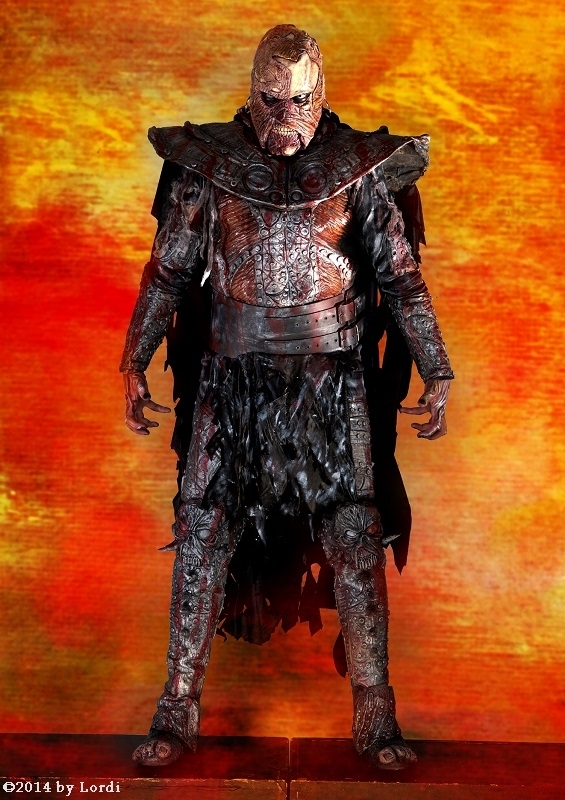 *wink wink* Well, the music is by Mr. Amen and Mr. Lordi. 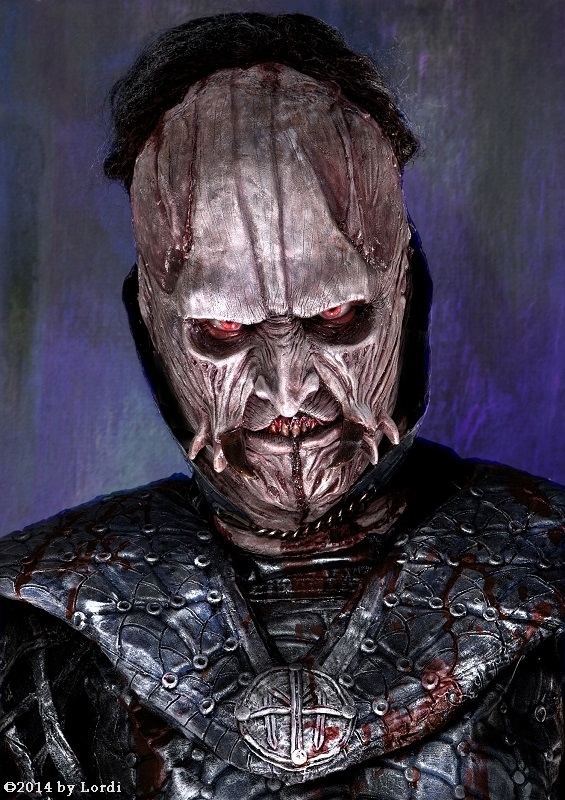 All the lyrics on this album are by Mr. Lordi and his long-time friend Tracy Lipp. I have no idea of the lyrics, because I never listen to them. I’m more interested in chords, melodies, harmonies and rhythms. Those things are music to me, not lyrics. My favourite songs are House Of Ghosts and Cadaver Lover. Those songs seem to have that Alice Cooperish feel that I really like. On 01.11.2014 you played the release-concert for Scare Force One at The Circus in Helsinki. A special and unforgettable night, right? You surely will go on tour pretty soon and showcase your album worldwide live on stage. In how many countries are concerts planned until now? What are the exciting and positive aspects of a tour for you, and what do you don´t like at it? To be honest, I have no idea how many countries are planned at the moment. You have to ask our management. Hah! But I hope and I believe, that there are many! There are no words describe the feeling when you get on stage when the intro is playing. That’s like heroin. And after a good show it’s so nice to get dru… I mean TO GET INTO MY BUNK and watch a movie or listen to Mr. Lordi snore or my drum tech. Vilho scream in his sleep. Priceless moments. There’s nothing I don’t like, really! Your shows are great, a lot of pyro, horror, mystic, blood, special effects.... I saw you live on stage in Germany and in Finland, the shows were a bit different. Do you have to change parts of your performance sometimes because of the regulations from the countries resp. the locations? Regulations and money, yes. Bigger venues equals more money equals more show, pyro etc. Simple. Could you please introduce your band mates, and describe each of them in two-three words? 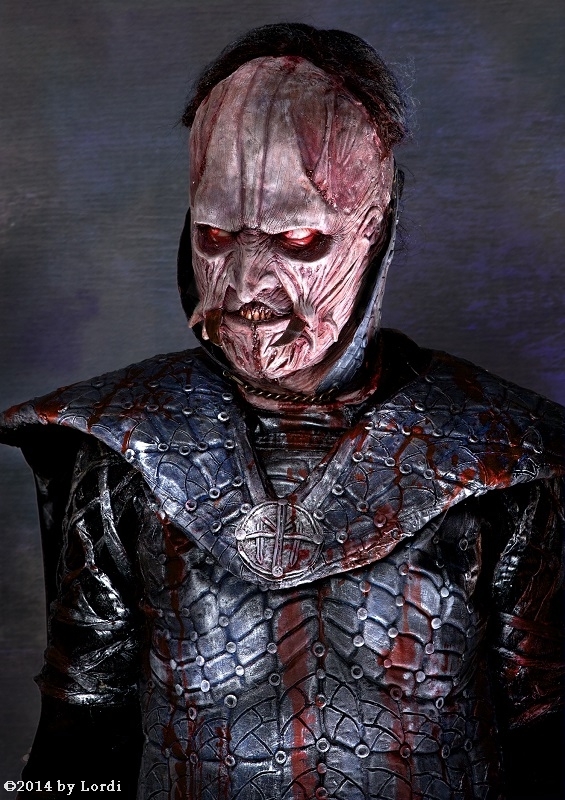 You are a member of Lordi since 2012. Did you choose your monster-name and costume yourself, or was the whole band involved in these decisions? 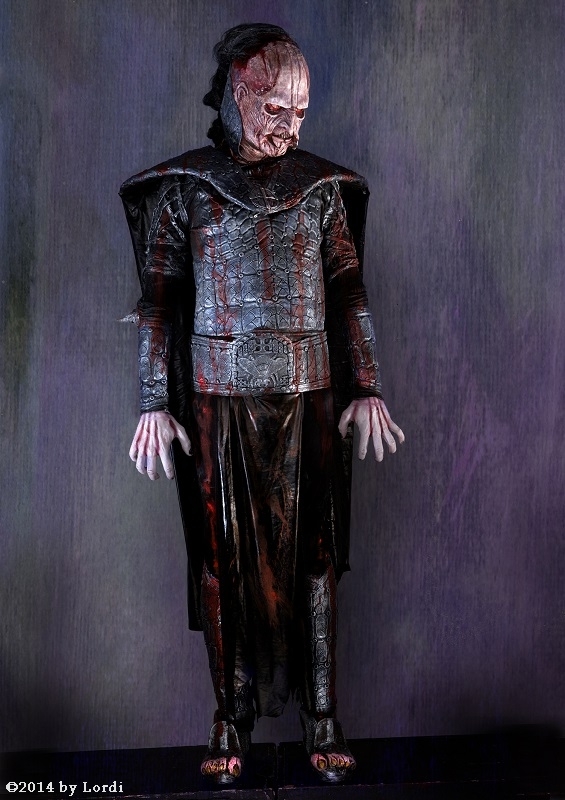 That was me and Mr. Lordi. The character must at least some ways describe your real life persona in order to look credible. I’m such a calm and easy going guy, so I couldn’t have been a psychopathic monster clown with rabies, or whatever. If you get more calm than me, you’re dead. 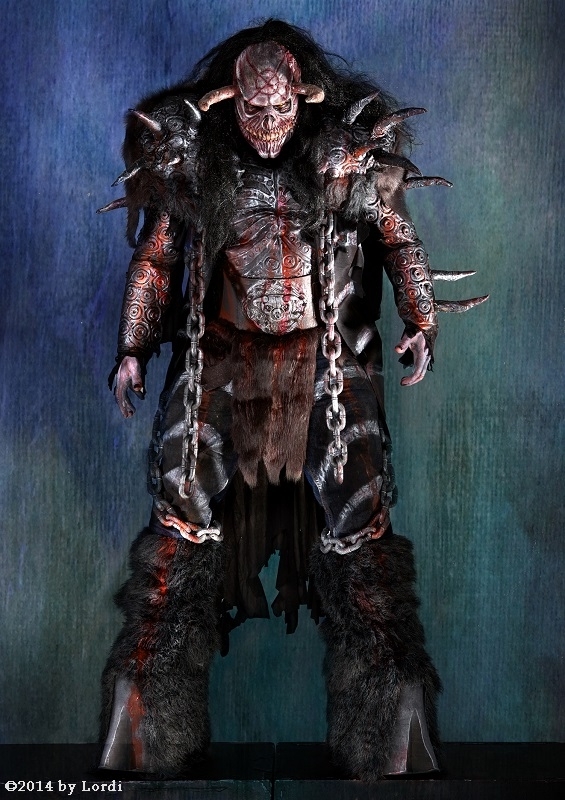 What were your personal very special moments respectively your highlights in your career with Lordi until now? The first show in Hamburg, Germany and the first festival show in Hellfest, France. Because I was so nervous I don’t remember anything from those shows, but still they are unforgettable in a way. In which age you´ve started to play the drums, and which bands/musicians would you name as your greatest influences? I bought my first drum kit when I was 15 and KISS is the greatest/hottest band in the world. Some great drummers: Cozy Powell, Ian Paice, Vinny Appice..
What equipment do you use? Could you please explain, how your drum set is arranged? I just got my new Tama Starclassic-kit and I love it! 2x BD 24”, 1x RT 13”, 2x FT 16” (one on each side), 2x FT 18” (one on each side), 1x SN 14”. I prefer a good song. I don’t care about the format if you pay for it. I suppose, you all are big fans of the Horror genre *lol* ;-) What are your favourite horror movies/authors/figures? I would say “The Exorcist”, Clive Barker and “Pinhead”. I would like to add that no added sugar. Kiitos haastattelusta! (Thanks for the interview.) We wish you all the best and much success with the CD! Olkaa hyvä! (You’re welcome!) Thank you!